And I am going to complain, which will only make it worse. After my trip to Seattle, I officially banked enough Marriott points to cover my hotel room on a return trip to the Big Island. I was thinking Same Time, Next Year. But I’m not quite sure I will have the airline miles. So I went to United.com to see how much it would cost to just pay for a ticket. The answer: $1,000. “To ashen travelers stranded across the globe by belching coming from the depths of an unpronounceable Icelandic glacier, the prospect of communing with an active volcano may be as enticing as spending the night on an airport terminal floor. 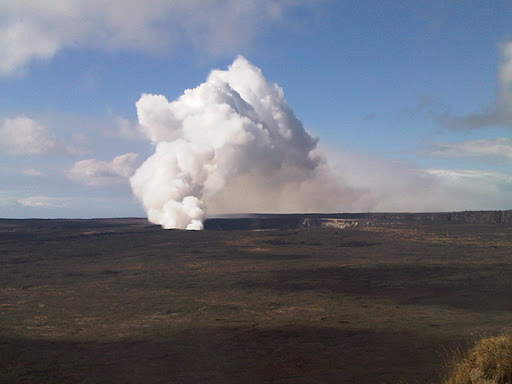 And they called out Kilauea. This entry was posted in In the News, Travel.